First of all, cloud computing technology introduced higher levels of agility to business processes. At the same time, it requires greater levels of expertise to handle complexity in IT networks. The problem with cloud computing networks is its interconnected nature. If an intruder finds a single point of vulnerability, he can gain access to thousands of systems. This can turn into a disaster for businesses that handle critical volumes and sensitive data. However, companies that offer cloud-based services are implementing cloud-ready security programs. For instance, GMO Cloud implements a cloud-ready security program that proactively identifies potential threats and online intrusions that attack interconnected or heterogeneous networks and effectively prevents them. While cloud computing networks are increasingly being implemented, Bring Your Own Device (BYOD) programs are becoming more popular too. More and more cloud-based applications are created to provide mobility solutions to back-end database systems. Often, people access data using mobiles or other high-end gadgets. As the cloud and mobile converge, businesses need to concentrate on optimizing infrastructure to take advantage of this growing trend. In a cloud computing environment, everything is agile—including technology changes. While Bring Your Own Device (BYOD) was an innovative concept, it is not new anymore. Today, Bring Your Own Cloud (BYOC) is the new buzz term. While employees use their own devices to access enterprise networks, businesses have to ensure that corporate data and personal data are separately managed. Employees have a lot of personal data they share with friends. Since they are using the same device to share personal data, corporate data needs to be secured. While cloud companies have high security measures in force, it is the responsibility of businesses to provide access to specific applications. In the future, you can expect to see less of a monopoly of top companies dominating the IT segment. Large enterprises possess high-end computing resources, data management tools, and infrastructure to take advantage of technological changes. The introduction of cloud computing has brought cutting edge technologies to small and medium-sized businesses. Today, everyone can take advantage of this innovative technology to enjoy highly scalable infrastructure that works on world class technologies. In addition, home users can also own a public or a private cloud to host personal data as well as business data. Any new advancement in technology is enjoyed by everyone. While cloud computing technology offers business agility, the key to success lies in sustaining this improved performance. As cloud computing trends change quickly, businesses that that are adept at forecasting these technological changes are in a good position to out-pace their competitors. Sorting cloud computing myths from facts is critical, especially when the future of your business depends on it. 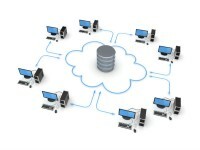 There are several practical issues to be considered while migrating to the cloud. Every software person worth his salt knows the headaches surrounding versions and the problems that arise from it. On one occasion, I and my staff struggled to figure out why our code was working in all our servers but one. After grappling with the issue for nearly a week, we realized that the server in question had the wrong version of OS (Operating System) loaded. Believe me when I say that this is not a trivial issue. This problem can get further aggravated if some portion of your software works on a different version while some code doesn’t. When migrating to the cloud you must ensure that you have the right OS version – I mean the same version as you have on your server. Not only the OS but all other applications, scripts, databases and utilities must have the same version. This will save you much headache in future. The cloud works a bit differently from traditional environments. Database connectivity can become a huge issue if not executed properly while migrating. This is a practical problem which can befuddle the best of system administrators. Those who take my advice would thank me later for cautioning them in advance. I would suggest that you test your database connectivity first with sample data, before migrating entirely. Databases have become extremely complex. 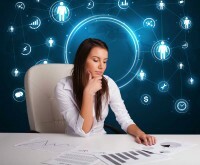 Extracting business intelligence and connecting with ERP systems, by itself, is a complicated job. Working in a new cloud environment can add to the complexity, if you are not careful. We are living in a world full of data. Video, audio and images take up a huge volume of space. Most of the data which we store is unused or used rarely. I would recommend that you carry out thorough inventory of your data, although storing it in the cloud can be costly affair. In fact, if you are not careful, you might end up paying a huge amount of money just for storing useless data. You need to archive data for many reasons. Compliance with government statutes may demand that you store data which you may otherwise never use. I suggest that you get all this data compressed and then stored in a cloud. Video and audio do not yield to high compression ratios unless you convert them into other formats. You must carefully plan your migration strategy. Sort out the version issues or at least know that you are dealing with different version. Know your operating environment well. Test your software with related databases before going all in. As you may have been told when you were young, take one ‘byte’ at a time and chew properly! Advances in information technology have a significant effect on how business is done these days, and it will continue to change even more in the years to come. The next couple of years may prove to be crucial to various industries as their capacity to adapt to will be put to the test. This is because many of their customers are adopting a lifestyle that includes being connected to the web at all times. This change means that companies that best capitalize on emerging technologies will dominate the market and find opportunities to grow and thrive over their competitors. Apart from navigating market volatility and economic upheavals, the use of these technologies to provide better services and improve business will be the mark of effective decision makers and business leaders in the next few years. The period from 2009 to 2013 has shown various trends of what businesses will face in the next few years. 2011 was especially troubling in some industries due to global economic difficulties that forced them to make compromises to control costs and stay afloat while also challenged to innovate and advance in their respective markets. Survival in future markets will necessarily require businesses to navigate such upheavals while making decisions with regard to emerging technologies. Agility and adaptability will be of the utmost importance in the next few years, especially due to the rapid pace of development in the information technology sector. The power of customer engagement facilitated through social media and cloud-based communications can help companies regulate their interaction with their most important customers while controlling costs. Upcoming trends that businesses will need to deal with are necessarily centered around cloud computing and social media, two of the most important advances in information technology in the last decade – mainly because the two go hand in hand: traffic surge and ability to accommodate. To learn more about this, read on GMO Cloud’s high availability functionality. As more customers adopt lifestyles that require a constant net connection, web integration is increasingly becoming a the key selling points for many products. For example, automobile manufacturers will need to introduce web access to their vehicles as some industry analysts predict that this will be a determining factor for many customers in making a new purchase. Such implementation of new technologies will need to be balanced with the difficulties that come with our current troubles economy. Cost-cutting measures will be quite important and integrating the cost reducing effects of cloud applications to business models will be crucial. We have already seen steps in this direction in the last couple of years. Business decision makers would do well to observe the Asia Pacific market, where the high use of mobile devices and advanced broadband and IT infrastructure means that this market has the capacity to help predict upcoming business trends in the rest of the world. Is Tape the New Frontier for Cloud Storage? For several reasons, many companies are looking for long-term storage. The first reason relates to compliance with government regulations. There is an increasing need to store data for the very long term and seldom (if ever) will this data need to be accessed. The other need arises from the large scale storage needs of unstructured data such as video surveillance, entertainment media, digital images and social content. In essence, the industry is being deluged by big data and bigger data and companies are looking for solutions to further lower the cost of storage. The previously fashionable solution, MAID (Massive Arrays of Idle Disks), is not ideal because of the spin-down implications. In addition, the deep sleep design of this kind of storage has major limitations in accessing data. Cloud service providers are discovering that modern tape robotics and tape formats surpass MAID capabilities at a substantially lower price. For this reason, many cloud service providers are adding tape to their hardware. Tape is being looked at as a viable choice for long-term back up or archiving while the short-term storage is disk-based. Recently a 5 terabyte tape drive hit the market. It can store nearly 10 terabytes at standard 2:1 compression and it provides a native data rate of nearly 252 Mbps. Such storage is particularly suited for use in the entertainment and broadcasting industry. Tape storage reliability is nearly three orders of magnitude higher than disk. A study also showed that in a comparison of a LTO 5 tape library against a SATA disk system, the SATA system had a 2X to 4X higher total cost of ownership. With ‘Tape in the cloud’ emerging as a new and exciting development, public clouds are in a position to offer even lower cost long term archiving. Since the benefits of a public cloud are measured as a ‘Return on Investment’ rather than ‘Total cost of ownership’, tape in the cloud is proving to be a hit. So who is using tape in the cloud? You need look no further than the US Library of Congress. Also the ‘Picture Archiving and Communication System’ (PACS) is medical imaging technology that uses tape in its storage environment. Many PACS applications are moving to the cloud for storage and Novant Health has invested in data centers that have tape in the cloud all of its medical imaging data. Media companies such as Sony Pictures Entertainment, Paramount Pictures, National Geographic, and The New York Times have all employed a tape in the cloud approach. Even Google has moved to tape based storage to archive critical data in its data centers. Modern technology is seeing a rebirth of tape and robotics and the new Linear Tape File System is making a major difference to the efficiencies and economies in data centers. Both revenues and margins are seeing an improvement. Technological advances always bring changes in how we manage our businesses. Ideally the aim should be to quickly align systems and processes, but such transitions also usually require a dramatic change in our own mindsets, as employees and managers. Why do some organizations embrace technology quickly while others falter and struggle? The answer is a complex one, but here are a few notable points that can shed some light on the matter. The first is a fear of change that can keep top management from transitioning to new systems. This often happens in the case of cloud adoption. Many organizations fail to manage the change from traditional platforms to the cloud, mainly because they stick to an old mindset and the traditional systems to which they have become accustomed. The solution is obvious. Before transitioning to a cloud platform, an organization must understand the dynamics of that change. Management must be prepared to alter and change its existing work processes in tandem with changing technology. This will alleviate fear and make things easier as a result. Business environments have become extremely competitive, and this means you have to cut costs and become efficient in all areas of operations. Pyramid structures have been flattened. Lateral communication has become imperative. Collaboration, both inside and outside the organization, is encouraged. Old management structures are giving way to new ones. But unfortunately, these changes have not touched all organizations. Many are still working with old structures incompatible with cloud technology. Organizations must change in tandem. Both the technology and the corresponding working philosophy must go hand in hand. Clinging to old systems and processes while embracing new technology is a futile exercise. The way ahead must be change that is robust and all encompassing. This is perhaps a critical factor that determines whether migration to a cloud platform will be successful or not. Traditionally, the CTO holds complete charge of IT infrastructure. Insofar as cloud infrastructure is concerned, its power lies in its flexibility and ease of use. Many processes, like increasing or reducing server instances, can be automated. This obviously reduces the perceived power and importance of technical staff (who previously decided such matters). This is not a trivial issue. Many technological advances have been sabotaged by staff who see them as threat to their livelihood. There is a fear of being made redundant by automation. Of course, such fears are not unfounded. It’s therefore important that management finds a true solution to this dilemma. Dealing with change can be traumatic and the success often depends on how senior management deals with the problem. Existing organizational structures should be overhauled along with the migration process. Fear of change has to be confronted directly, and management must address issues regarding staff and resolve them amicably, before migrating to the cloud. It’s the people who will ultimately decide whether the cloud will be a safe haven for your organization or not.